El Best Western Lindale Inn se encuentra en el centro de Lindale. Venga y disfrute de las mejores atracciónes turísticas cerca de nuestro hotel. Precios bajos garantizados y ofertas exclusivas. 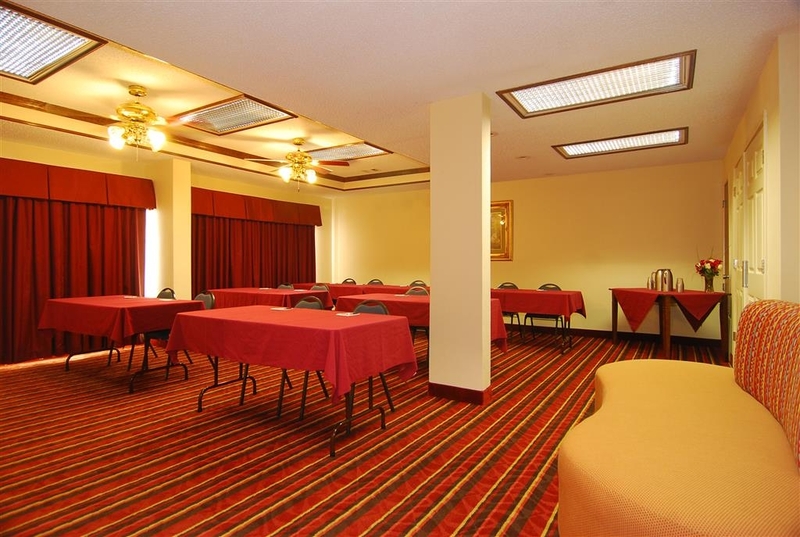 Bienvenido al Best Western® Lindale Inn. 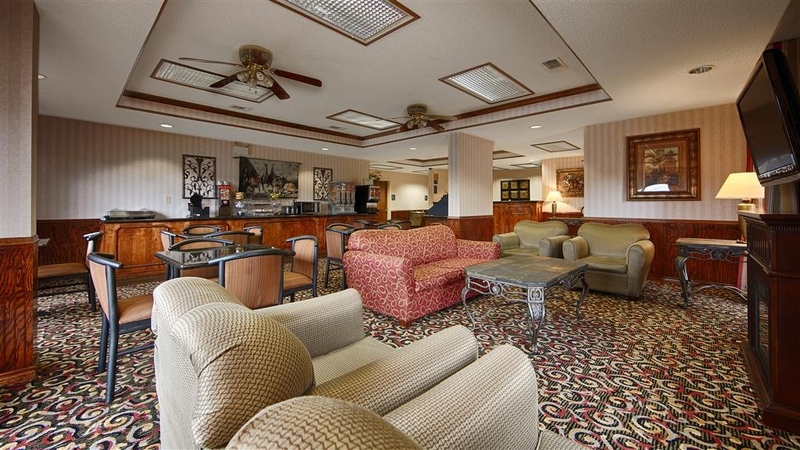 Disfrute de la mejor hospitalidad sureña en nuestro hotel de Lindale, Texas, que goza de una fantástica ubicación junto a las principales atracciones de la zona. El mercadillo Canton Trade Days atrae a numerosas familias, mientras que el Parque Estatal Tyler es un auténtico paraíso para los amantes de las actividades al aire libre. Los huéspedes se sentirán como en casa con nuestro desayuno caliente completo gratuito y con acceso gratuito a Internet Wi-Fi. Cada mañana, comience su día de la mejor forma con suculentos gofres calientes, fruta fresca, pasteles, cereales, yogur, suministro ilimitado de café 100% Arabica o jugos fríos. Los pacientes médicos que tengan que asistir a una consulta en el Hospital Mother Francis cuentan con nuestro hotel BEST WESTERN de Lindale, Texas, para disfrutar de estancias prolongadas. El centro médico East Texas atrae igualmente a numerosos pacientes y profesionales del sector médico de toda la región. Tanto si se encuentra aquí para unas vacaciones, una consulta o negocios, merece disponer de unas amplias y elegantes habitaciones. Con un cómodo acceso a la I-20 y una excelente ubicación entre Shreveport y Dallas, nuestro hotel cuenta con una inmejorable ubicación. Este hotel de Lindale ofrece un amplio espacio de estacionamiento para caravanas y camiones lo que nos convierte en el establecimiento idóneo para empleados del sector del transporte por carretera y campistas. A poca distancia a pie podrá encontrar restaurantes y tiendas, lo que le permitirá acceder a numerosos enclaves con la mayor comodidad. Desde recorridos en bicicletas de montaña hasta visitas al zoológico de Caldwell, nuestros huéspedes podrán encontrar numerosas atracciones en las inmediaciones. El mercadillo Canton First Monday Trade Days es un magnífico evento que atrae a numerosos viajeros de toda la región. Los torneos de pesca gozan igualmente de gran popularidad en las inmediaciones de nuestro hotel de Lindale, Texas, por lo que estamos encantados de recibir a aficionados a este deporte. Los huéspedes en viaje de negocios para visitar Nestle®, Reef Services, Praxair y Chevron® suelen escoger también nuestro hotel. Nos encontramos a poca distancia del autocine, las bodegas Miranda Lambert Winery and Store y los jardines Tyler, lo que le permitirá disfrutar de unas vacaciones verdaderamente inolvidables. Visite la reserva de fauna de Tiger Creek para disfrutar de una experiencia verdaderamente inolvidable. La relajación, la aventura y nuevas sensaciones aguardan su visita. Reserve una de las apacibles habitaciones del Best Western® Lindale Inn hoy mismo y disfrute de las mejores tarifas de la ciudad. Disfrute de su estancia en nuestro hotel. Hotel was clean, beds were comfy, breakfast was sufficient, hotel is close to the freeway, you could hear the cars drive by but it wasn't too bad, I was able to get a good nights rest, I enjoyed my stay and would definitely stay here again! The room was very clean & comfortable. However, keep in mind this is a motel style with exterior doors facing a very busy interstate highway & a McDonalds parking lot. You can hear trucks on the highway all night. A delivery truck was unloading at the McDonalds @ 4:30 am. While this might be a convenient stop for travelers, it's not ideal if you want peace & quiet. The desk in the room is located on a wall with no outlets, so not conducive for working on a laptop. "Good hotel for the value"
I've used this hotel many times without issue. The location is great, I once left my laptop and the cleaning staff turned it in without issue. Its not a fancy hotel but you pay a reasonable rate and location is convenient. We have stayed here several times before. The location is great to get to Tiger Creek Refuge. We volunteer at that place for there events. Every time we stay at the Best Western, the staff is great. They are helpful and nice. Also, you are close to several locations to eat at and get supplies. Dear Guest, Thank you for being repeat guests at our hotel. 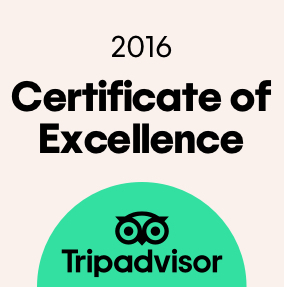 We are so delighted that you had a great location, friendly staff and enjoyable experience with us. We take serving our guests very seriously and are very pleased that we met your needs so well. I hope you will tell others about our property and stay with us again the next time you're in the area. Sincerely, Hotel Manager. Nice stop and was a very quiet area considering it is close to the interstate. 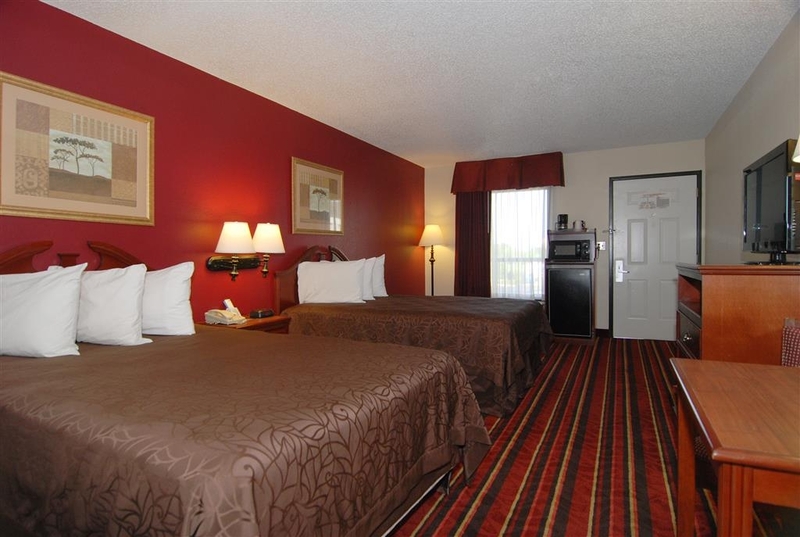 The location is ideal for travelers with easy access to highways. I will stay there again when I have the opportunity. 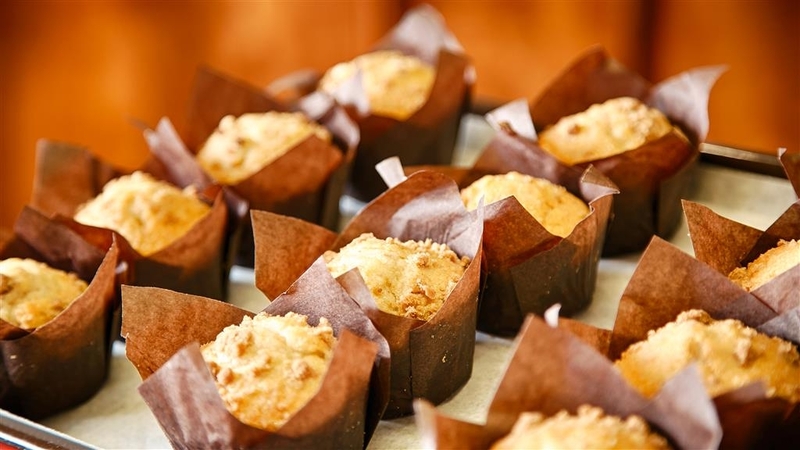 The breakfast was satisfactory and eating establishments are located close by for those who want more. Thank you very much for your kind feedback. We are thrilled to hear that your recent visit to Lindale , and our hotel, exceeded your expectations! It is very rewarding to know that we succeeded in providing another guest with an enjoyable and comfortable lodging experience.It was a pleasure serving you and wish you many more safe travels.We hope to see you again very soon! Climbing up the wall at 2am, then disappearing when I went to the bathroom. Kept me up til 4 wondering it was. Came back and crawled across the ceiling and down the wall. Killed it and took it to the desk clerk, now 4:30 am. Was told the manager would contact me. 10am, no contact. I visit front desk again and told manager hasn't arrived. Manager could care less. Didn't call and had the desk clerk call with insulting offer. Very disappointed, no sleep and angry. You can tell when a manager cares. This one doesn't. Nice clean hotel. Good value. Quiet place to stay. We stay here most every time we are in thisarea, which is at least once a year. Never had a problem with staff or facilities. I wish breakfast had grits. Hello Guest, Greetings from the Best Western, Lindale. Thanks for the mixed feedback with the positives as well as otherwise. We are continuously improving and will definitely work on your observations. You can expect a further improved stay next time. Visit us again soon. Sincerely, Hotel Manager. Room was everything we expected. Pool was clean and water clear. Breakfast was good. Staff was very helpful. Hotel was close to several restrants. This hotel was easy to access from the interstate. I will stay here again. Dear Valued Guest, Thanks for staying at the Best Western Lindale Inn and expressing your satisfaction through the review. We continuously make efforts in upgrading our hospitality and guest comfort. It is a pleasure to serve guests like you and your comments shall motivate us to better our hospitality. Hope to see you again soon!!! Regards, Hotel Manager. "A good place to stay. Great price!" One of the better places in the Tyler/Lindale area. Housekeeping was excellent and the breakfast, with waffle maker, was okay. Same as any other hotel that has it. One thing I did notice this visit was that the stairs by the pool going up to the second floor had a couple of cigarette butts at the bottom and red clay at the top. These were there all 4 nights we were there. Not a major issue but it showed me that they don't do an inspection every morning as they should. "Virginia at the front desk was great. " Room was clean. Virginia went above and beyond to make sure I switched from smoking room to non smoking. She is a keeper. 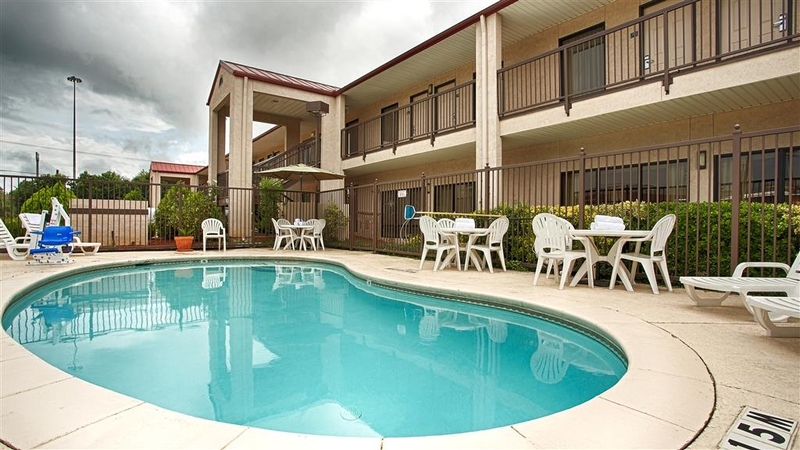 It is a motel which I would rather be in a hotel but over all good hotel for a good price. This hotel was affordable and clean. The appearance was nice unlike other affordable hotels especially one across the street that looked run down and tiny. I liked that you could make only one cup of coffee at a time. We have stayed here several times when visiting Canton Trade Days, or when traveling through the area. 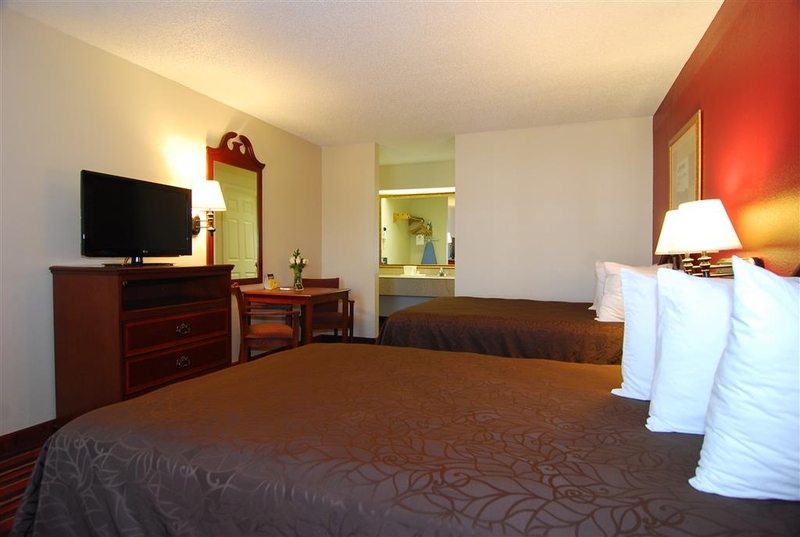 Standard rooms, but staff is professional, rooms were comfortable and clean. Breakfast had several options, although I miss their Texas shaped waffle iron! Traffic is heavy at the entrance and does make turning left is difficult. Several restaurants are nearby. We enjoyed eating at Pasado's, which was left out of the driveway. "Great Stay for a Great Price!" The stay started with a friendly greeting from the front desk clerk. 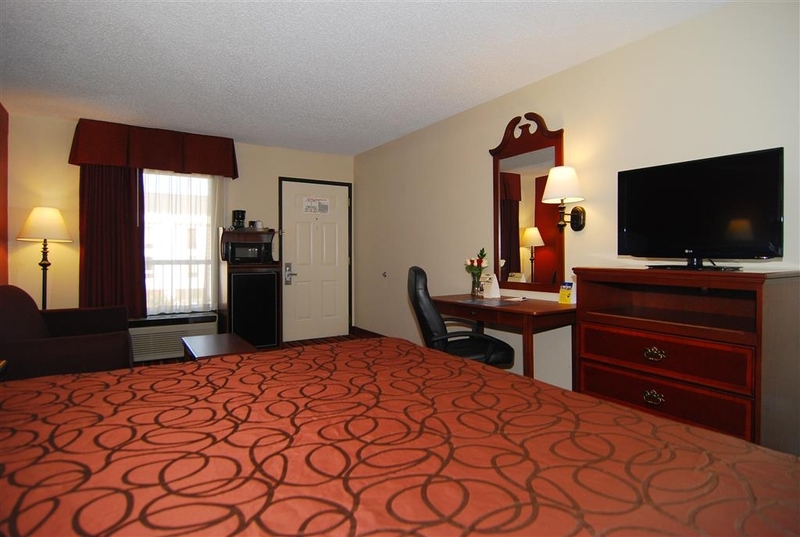 The room was clean and comfortable and although there was some noise from the traffic on the interstate my husband and I got a good night's rest. Breakfast was very good, there was a variety to choose from and we had biscuits with gravy and sausage patties. It was a great stay for a great price! We will definitely be back. Stayed one night in a non-smoking room, room 122. Upon entering room it smelled like it has been smoked in. Not strongly like a smoking room does but like it had been converted and not had all furnishings changed out. The bed was comfortable. Shower/tub was clean and gets hot. Breakfast was kept well stocked and tasted okay. They served sausage patties, eggs, biscuits and gravy hot. The toaster was super slow. Coffee was good. We booked a room at this hotel for 1 night. We were headed to East Texas for a family Christmas party and were going to stay the night and surprise my in-laws for their 60th anniversary. Walked into the lobby and the clerk never acknowledged me. He was waiting on another customer that happened to be my sister-in-law. Once he finished with her, I gave him my name and that we had a reservation. Never acknowledged me being a Gold member or Thank you for choosing our hotel, nothing. He gave me the paper to sign since I used points to get the room and handed me my cards. Didn't tell me what the password was for the internet although he did tell me the breakfast times. Normally I have good things to say about Best Western but this time I felt let down. The bathtub had a dispenser for shower gel but it was empty and there wasn't any bars of soap. None of the trashcans had trashcan liners. No trashcan in the bathroom. . Very noisy also. Close to the main road but was very noisey. 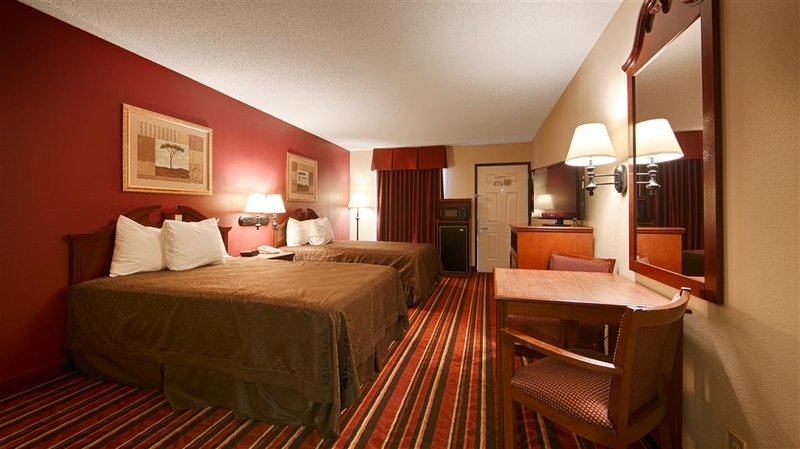 A co-worker and i checked in this Best Western hotel in Lindale TX Room 202. We Travel around the US on business .The company we work for Books our hotels & Best Western is one of the main hotels we stay in. Anyways, one night i woke up with red spot on my body,( similar to a mosquito bite). So i removed all the sheets and took them to the front desk and told them about a bug i had seen on the sheets and if they can give me clean sheets (Not Knowing they were BEDBUGS) . The next day i did a little more research on what kind of bites i had all over my arm, legg, hands,. and i informed the office on what can we resolve about this, i sent them pictures, i talked to every manager possible and nothing. I had to throw all my clothes away witch involves my work stuff also. i have a newborn at home and i will not be carrying this infestation to my house nor any place i rest my head. I WILL NOT BE IGNORED !!! Bed bugs are a very serious issue in our industry today. This is not a subject to be taken lightly and one that is acted on immediately. Although we have our hotel inspected regularly for any evidence of bed bugs, we also follow up immediately on any guest concern. In the case of this guest our contracted pest control provider was on site for inspection of that room. The pest control company did a thorough and documented inspection of the room along with hotel staff and found no evidence of any stage of a bed bug. We appreciate and are thankful for the concern and awareness of our travelers which would enable us to eliminate a problem immediately should it arise. We will continue to immediately act on even the slightest concern of any of our guests in this serious matter. We will also continue to support the findings of the professionals we hire to handle any pest control situations. 1) finding entrance at night is ridiculous. We, along with others in our party, turned in McDonalds lot, only to find no way to get to BW. There are low tiny signs about 30' in from road that are not visible from Northbound lanes if traffic is from of them. impossible to make a left out of hotel during peak traffic period, especially at night as you cannot see lanes! 2) Shower was never cleaned after previous guest. Leftover soap in corner & public hairs in & on edge of tub! 3) Sheets had yellow stains on them! they were retired, just reused. I called at 9pm at night to get this rectified and they had no one on staff to fix. Told them it had to be fixed while we were out next day. Came back next day at 4pm - bed was made - THAT'S IT. Sheets not changed, shower not cleaned! i was livid. "I left them a note" was response - wow - nice follow up. 4) Wi-fi became unsecured 2nd day and almost didn't notice. was sheer luck. no password - showed clearly as unsecured. Putting guests at risk! p/w was poor to begin with but unsecured is another story. 5) Road noise - i was near front of hotel - road noise kept me up! 6) Staff poorly dressed - tie die t-shirts?!?!? seriously, this was like a Motel 6, not Best Western which is a step up. 7) i filled out survey, and got a sorry for experience, i hope you will try us again response. Are you kidding me? still waiting for response from corporate email which hasn't responded all week. this could be the end for any BW visits. i expect more than a "sorry". Thank you so much for the Great Review!! We get great pleasure in knowing that our guests have enjoyed our hotel as much as we do. We look forward to welcoming you back very soon. ot our first stay, here, however this stay was a real disappointment. Our reservation for a adjoining was not fulfilled and we were forced to get different rooms. My spouse and I are both disabled and needed to adjoining rooms so our daughter could help us. During the second night of our stay on 21-22 Oct 2017, the fire alarm started going off low battery at midnight and when we called the front desk, and she said they didn't have any batteries and we asked if someone could go get some. She said they couldn't do anything about it, so we could deal with it or they would gladly change our room. So I went to the convenient store and bought my own batteries and changed it myself. As a rewards member, I was disappointed and the next time I visit the area my family and I will stay at comfort suites instead. This was not in downtown Lindale as Google Maps had shown, but that's on Google, it is actually several miles away by the freeway. This was an excellent hotel, inexpensive and the cleanest out of the 12 hotels we we have been to this year. The lady at the front desk had a great attitude and was very helpful and quick to check us in. Thank you so much for the Great Review!! We get great pleasure in knowing that our guests have enjoyed our hotel as much as we do. We look forward to welcoming you back . "The room and staff were very good, noisy with Interstate Traffic"
The only negative comment I have about this hotel is the noise level from the Interstate. Other than that............the room was clean and comfortable, actually one of the most comfortable hotel beds I have slept in. The staff was very accommodating and friendly. The price was very reasonable. We like staying in hotels with outside access from the room, so we choose this hotel over the others in town. "We are business people who travel monthly"
Already given a very bad rating due to bugs in room, truckers in parking lot, very bad beds that sink in the middle, lots of noise at night. We have stayed here many many times but the new owner is also owner of the Motel 6 across the street is running this Best Western like a Motel 6. Lousy breakfast. Non friendly employees. 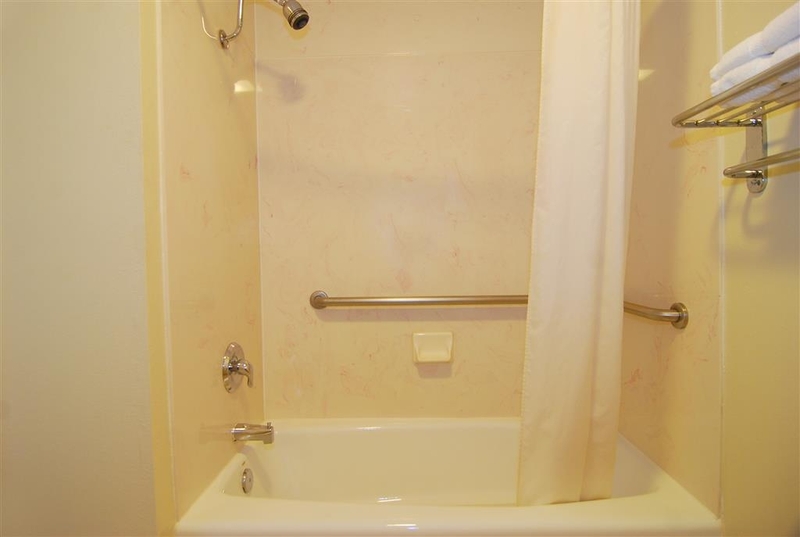 Roll-in shower doesn't mean that it works correctly or is easy for a handicapped person to use. The handle was terrible and the shower very difficult to use, when it should have been easy and convenient. The room was clean but musty smelling, perhaps due to old carpeting that needs to be replaced. 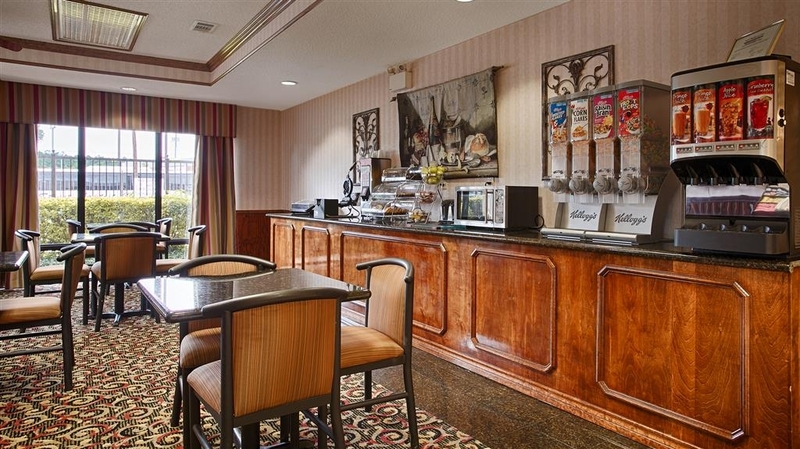 Breakfast bar was out of eggs that took another half hour for the desk clerk to prepare. Not the greatest place. 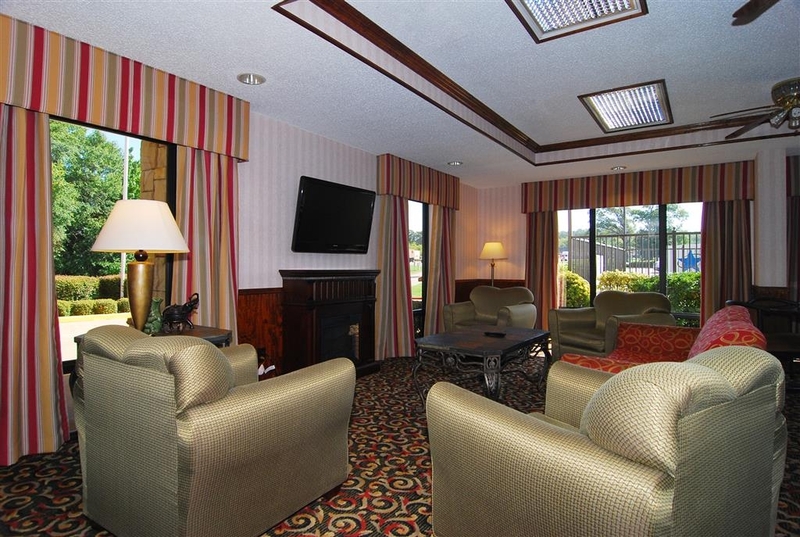 "Great Place to Stay for the Night"
Check in was smooth the staff was very friendly. Wi-Fi in the room was a good speed for streaming Netflix and checking email. The room was clean and the bed was comfortable. Our room had a refrigerator and a microwave. The bathroom and shower was a good size. The TV was HD and had an HDMI port and it came with free HBO. The pool looked nice and the free breakfast was standard in that it had cereal, waffle station, eggs, and all the other stuff. There were four different types of coffee in the lobby with plenty of creamers and sugars in addition to a coffee machine in the room so that was appreciated. All in all this was a great place to stay for the price and I would definitely stay here again. 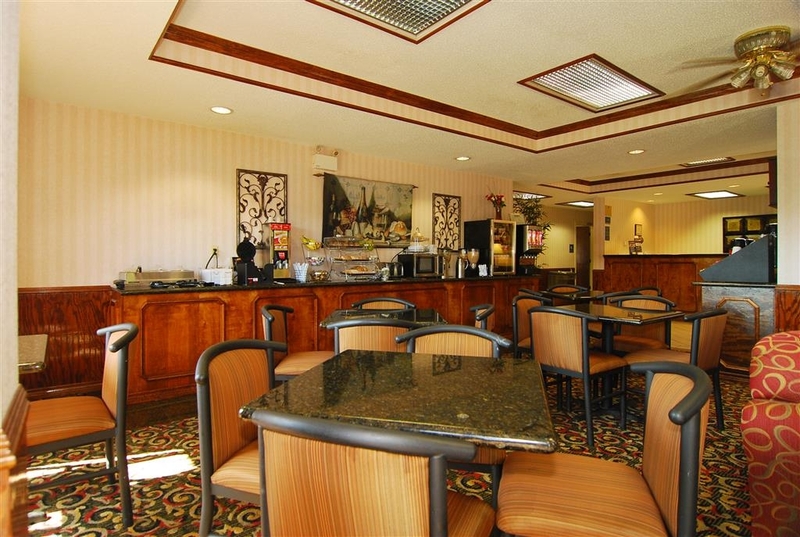 A good serviceable AFFORDABLE option - About a B+ in room quality -- but an A in lobby appearance and breakfast. Friendly staff. Has been quiet every time I've stayed here. Only appreciable "Con" is lack of convenient electrical outlet to plug a USB cord for charging phone near the bed without having to unplug the radio or a lamp to free up an outlet. (I always bring a small multi-outlet power strip and a long USB cell phone cord as a work-around.) 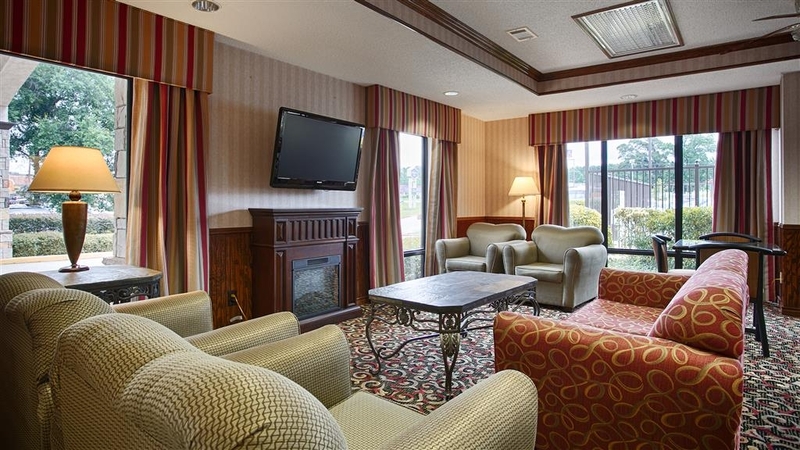 I always stay at this location when I am in the north Tyler area and have no problems recommending it to my friends and relatives. Booked from a 3rd party site, which said they allowed pets. They do not. However, the staff was incredibly courteous and accommodating. 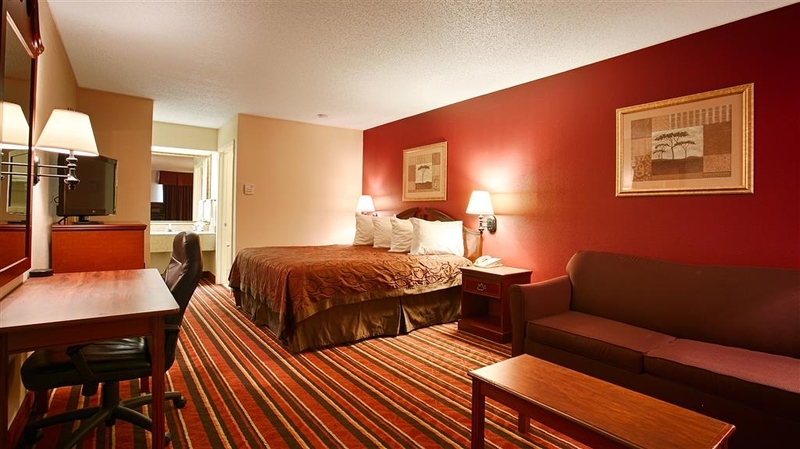 The room was impeccably clean, very quiet, conveniently located, and extremely comfortable. All of this plus very reasonably priced. This was a decent place to stop over night. My only issue was the amount of day workers in the hotel. Many came in until after 11:00 PM. Many other like myself were up well before 06:00. The hotel was still fairly quiet and it was not a serious concern to me. If you are a light sleeper or your sleep is easily disturbed you may wish to look elsewhere. I will stay again, this was not a put off for me. "Price is right too many stains!" The price was good only 73.00 but stains and worn out bedding. The bedding had stains and so did all the lamp shades. Patched holes in walls not painted over. The room was clean but bedding and shades need to be replaced. Beds were also very small do not look even close to being queens, not for sure even full. "Nice place to stop for the night on a roadtrip." This is the 2nd time I have stayed at this hotel and was a little dissappointed this time. Our room was not as nice as the first time I stayed here. It was upstairs and there was no elevator. The beds, were only double beds, not queen. They were not as comfortable as they could have been, but they were ok. We did not get up in time for breakfast, but I am not that fond of the breakfast choices at most hotels. There was a McDonalds in front of the hotel so we just grabbed breakfast on the way out. This is an ok hotel for someplace to stop on a roadtrip, but not someplace I would pick for a destination hotel. The hotel is a bit older and the trash cans did not even have liners in them. It is funny that they did include a liner for the ice bucket, but not for the trash cans! "Our Stey at Lindale BW"
This motel is easy to find. 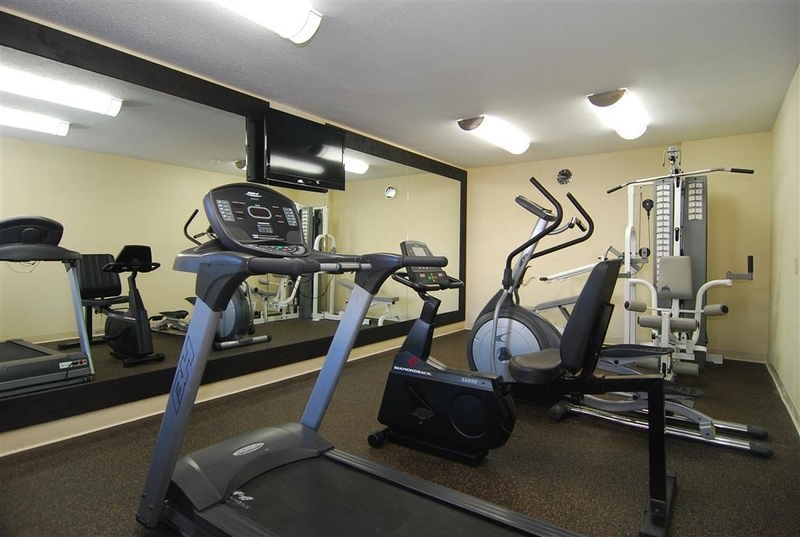 It is conveniently located beside the Interstate, just behind a McDonald's Restaurant. You might think Interstate traffic noise might be a problem, but it is barely noticeable, even in the rooms closest to it. The beds may seem a little more firm than most, but they are otherwise comfortable. "Stay at the Hampton Inn next door"
This hotel is extremely dated. The room decor seems to be something out of the Seventies. The pump pots in the lobby were either empty or had cold coffee in them. The breakfast looked so gross we would not eat it. The glass on the doors to the lobby was filthy. Rooms were being updated during our stay and the noise of the tile cutter was loud and went on all day long. The seals on the doors are not enough to keep any noise out. I left a ring on the dresser and it was gone when we returned to our room. We actually went across to the Hampton to get decent coffee. Good location, and good price. A little too much road noise for those that don't sleep too soundly due to the doors being outside, but otherwise a good clean place. The waffles were good, and the rest of the breakfast was OK. Thanks! It was cheep and I felt that I got what I paid for. The bed could have been better, but after considering the price, can't have everything. If it was just for an overnight stay in that town, I would stay again. For an extended business trip, I would upgrade to a different hotel. Paid for 2 nights two weeks in advanced for a baseball tournament. After playing one game came in to a room that was very hot, ask the man for another room and he said I would have to leave the next morning because he had no room for me. I had already paid for two nights and it was 9:30 at night and he would not give me my money back. We are sorry for the inconvenience. The original reservation was for 1 bed and on the first night we had to move it because of AC malfunction, so we switched it for 2 beds which is available for one night only. As a result, we asked the guest to move into a 1 bed room on the second night since it's prepaid for two nights, and instead of switching rooms, the customer preferred to check out. We are sorry for any misunderstandings or inconveniences caused by this incident. We were taking the grand children to see the animals at Tiger Creek Refuge. I booked 2 rooms so that it was a short trip there. They staff made sure they had a cot for one of the kids. Everyone slept well. Staff was excellent . Was pleasantly surprised with Best Western's rooms. Only complaint was lack of electrical outlets for c-pap machines. Will go directly to Bestwestern site next time. Breakfast was decent. "Don't stay here without earplugs"
We're two hours into our stay. An extremely unkempt (looked like he just rolled out of bed) and not friendly gentleman checked us in. He was extremely rude when I asked to know what I was signing when he slapped it down in front of me without a word. He disdainfully said "Bottom left corner." Hmmm. We went to our room and it was under construction. Went back to get another room. He didn't know they had construction there. If not him, who would? We asked for a room closer to the office on the first floor so he put us on the second floor one from the end by the interstate. My husband is handicapped and there is no elevator. Workmen are still cutting tile under our room at 6:30 pm. Single pane windows keep making me want to check to see if the door is open. So noisy! The room is dark and unexciting. The facility looks old and a bit dirty. I remember when we always stayed at Best Westerns. At the very least their one representative to the public could have been presentable and pleasant. Facility and parking OK. Nice, clean pool. Had a smoking room, and was expecting the stink, but not a big cigarette burn hole in the comforter. Highway noise was a bit of a problem. The front desk staff were very friendly. The room was decent although the sound of the interstate was pretty loud and woke me up in the early morning hours. I wasn't completely disappointed until the next morning when I went to breakfast and CNN was playing in the lobby. The entire time I sat there they rambled on, complaining about everything they could on Trump. Must of it was stupid, but the point is was throughout breakfast...that is until I turned the channel to find another news, any news. I landed on FoxNews. For the last 20 minutes I sat there, they only brought up Trump twice and their coverage just seemed more real because it was more extensive rather than just a pre-selected snippet. I'm a man of principle and I cannot stay here again after that. If you're gonna play news in the breakfast area, at least let it be real news. I'll take my chances elsewhere next time I'm in town. "GREAT even in Remodeling Time"
Older unit, but nice after remodeling. Lobby area prepped for new floor tile, etc., but very clean and not dusty. Signage for getting INTO the hotel is VERY confusing, since BW site is just before Hampton Inn, which parallels BW building. "Entrance" to the BW has signage showing "EXIT" from BW, but it's the ONLY way to get into the parking areas. Very large room, clean and comfortable. Nice staff! Not to mention THAT THEY TREAT VETERANS VERY WELL with their rates. Best Western is the only major chain that I know of that gives veterans the government/military rate! Thank You Best Western! 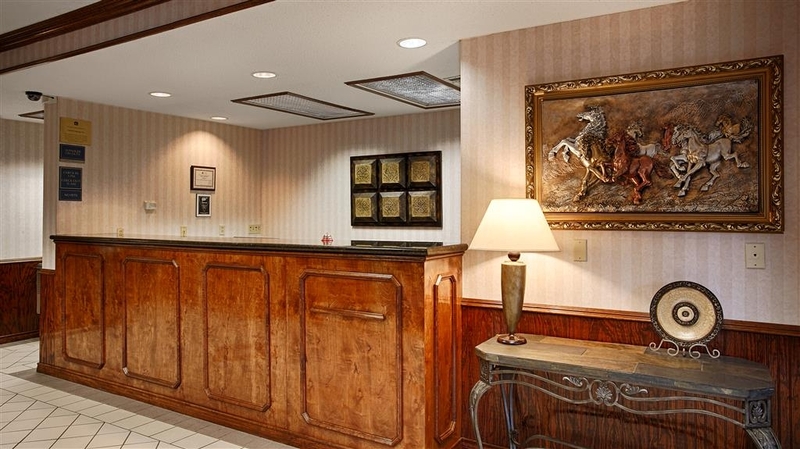 Always Look for Best Western when traveling. Love the hotel and having full breakfast provided. Employees have been very friendly and helpful. Rooms are always clean and love the updates and improvements. Although a rural area, there are some places to eat nearby. The clerk was helpful in pointing out eating places within walking distance. In addition, she offered me a goody back or extra points on my rewards card. I took the points. "Pillows and Bed Were Hard"
Pillows were like sleeping on basketballs, literally. Bed was not comfortable. Water pipes were extremely loud so husband had hard time sleeping (light sleeper). Room was definitely clean and suited our basic needs. Checked into this hotel around 9pm as a halfway spot to Dallas. Staff was friendly and there was a young man using the "business center"/lobby computer as a place to eat his McDonalds (instead of the tables ten feet away). I'm not a fan of outdoor style hotels but this was the best choice for the price in Lindale. It quickly became obvious that this hotel is one that TxDOT and other crew workers use for overnight stays. Based on all of the work trucks and the large number of men hanging around the stairs/walkway as I approached. This made me very uncomfortable both on my way to the room and when I tried to leave the next morning as both times these men were EVERYWHERE. I skipped breakfast and went to the McDonalds next door because of this as well. This wouldn't have been a problem if my significant other had been with me. This may not be an issue for others. Road traffic was as expected, seeing as the major highway is just a few yards from the hotel. The room was large and uncomfortable, no complaints there. I might just splurge the extra money for the enclosed hotel across the parking lot next time...or just wake up a few hours early and make the drive to Dallas. Ok. Too expensive for this type of hotel. It was explained to me, that because of First Mondays in Canton, all hotels are more expensive. Clean room. Friendly staff. Easy on and easy off IH 20 and US 69. My daughter and I stayed at this site for Canton Trade Days and we are both Miranda Lambert fans and wanted to check out her Pink Pistol shop. This location is only 30 minutes from Canton and about 3 miles from the Pink Pistol. Breakfast started at 6 a.m. which was great so we could get an early start to Canton Trade Days. Consisted of eggs, sausage patties, biscuits, gravy, waffles, cereal, juice coffee, toast, yogurt, etc. There is also an IHop right across the street for those that prefer to go that route. An excellent Mexican food restaurant named Posadao's Café serves up hearty portions of food and awesome mixed drinks. Only about 3 minutes from the hotel and across from that is a Walmart. Will stay here again. On my solo trip to Jacksonville, Florida from Albuquerque, I hit rush hour traffic in Dallas, Texas, my second night. After battling traffic in a city full of orange barrels for several hours, and being pulled over for a burned out brake light, I was exhausetd and it was dark!. I just wanted to get out of Dallas. 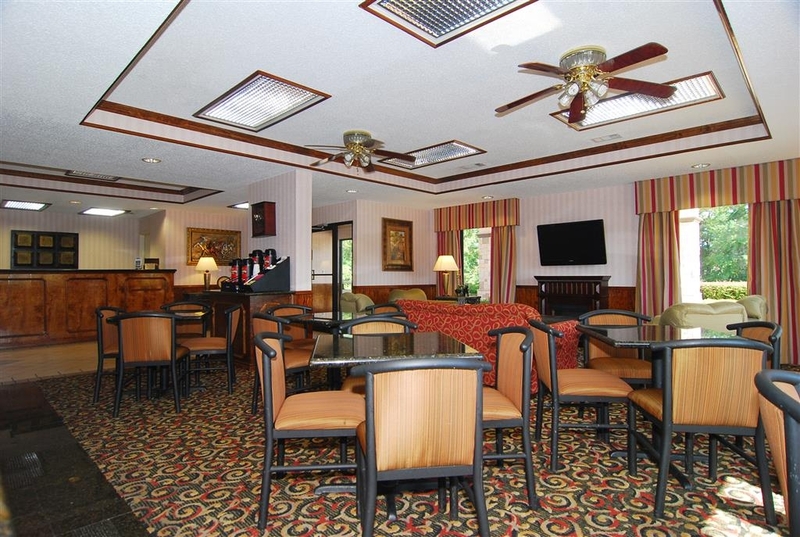 Looking for a hotel just east on I 20, I found Best Western in Daphne. It was just a little farther than I wanted to go, but for the same price as the Best Western in Canton, I could have a jaccuzi tub and a king sized bed!. So, I headed for Daphne. The young lady behind the check-in desk had only been there 2 weeks and had not been given full access to the computers. She got me checked in, but could not get the coupon I was using to work She was very sweet, got me checked in and said the day shift would apply the coupon to the account. Everything else went wonderful, The bed was great, the staff, pretty great, and the location is very convenient. The morning shift clerk, Liz, made sure my coupon was applied properly and gave me directions to the nearest auto parts store to get my break light replaced. A nice little town, with friendly, helpful people. I will be staying here on my way back home. Liked the rate, cleanliness, location and staff. Would rate higher if it were not for the road noise at night next to the freeway and busy intersection. Will consider stay again, but will ask for a room on the back of the building. I stayed at the Lindale in as I was passing through Texas. I checked in late at about one in the morning. The hotel staff was very friendly and got me into my room very quickly. When I arrived to the room it was very clean, furnishings were nice and the room is big. I was this just there to sleep, so I took a shower and got into bed. The bed was very comfortable women's felt very nice and the pillows offer great support. All in all, if I pass through this area again I'll definitely stop at the Lindale Inn Best Western. I was completely satisfied with this hotel. We were having car problems and we were allowed to check in early. Good location with several eating places, shopping places nearby, but close enough to Tyler without being in the constant hustle and bustle of a bigger city. Staff is good and maids do really well.. Need to improve the lighting. Did not eat breakfast because they stopped serving at 9:00 am which is way to early for people who are sleeping in some because they are on vacation. Most BW I have stayed in serve until 10 or 10:30 and think this is alot better. We had to go elsewhere for breakfast every day which was added expense. It was great place to stay. The hotel is very new and staff went beyond the call of duty to assist in every way. Also, the 1-800 number for BW, the lady that made our reservations so helpful and signed us up for the rewards program. We will stay again. 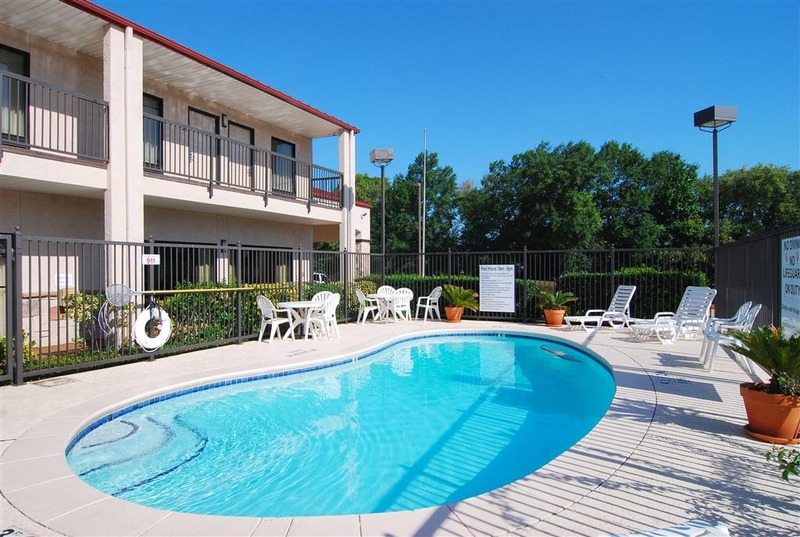 This is a great place to stay, convenient off of I-20. We stayed here on our way to our family reunion since we stayed here last year and it worked so well for us. Enjoyed the free breakfast and were on our way. "Not as good as other Best Westerns"
We stayed at this motel while visiting Canton for the First Monday take days. When we first arrived, we discovered that this a motel, with the room doors all being outside. This concerned us, especially after seeing some of the other clientele. The motel is older in external and internal appearance. The pool is small and wasn't super clean. The room needed some updating. We were disappointed in the quality of this location because we use Best Western as our choice of hotels. We will probably not be returning to this location even through the price is low. We had to go out to lindale for work. I had a few rooms in the Best Western. It was a great stay and would definitely recommend it. We had single guys and a family all were happy. If we go back we will definitely stay at the Best Western again! "Very nice place to stay !!" The hotel was clean, and tidy in all areas. We liked the room decor, the bed was comfortable and the room passed my wife's cleanliness inspection with flying colors. The staff was friendly, helpful, and acted as if they were truly glad to have us visit. Enjoyed the breakfast as well. Excellent value for a place to stay. 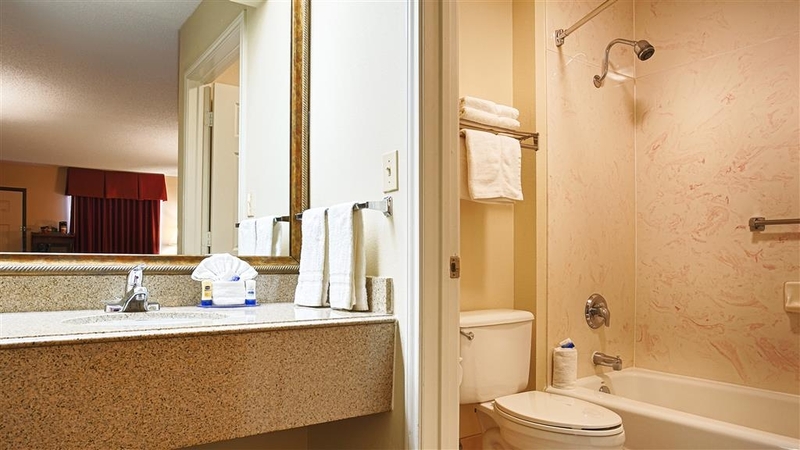 "No safe accommodations for elderly"
No downstairs room available for elderly; extremely slippery tub for showering with mobility issues; no control of air conditioner blower; poor lighting in total room and vanity mirror area; poor information given at time of reservation. "Decent for the price, but certainly can't recommend"
This hotel is dated and rooms are dark. The towel rod fell off the wall within the first 15m...also received a wakup call one hour before requested and then presented with a questionable breakfast. For the money its a place to lay your head but certainly wouldn't be a choice unless last next time round. There is not anything really wrong with this motel. You get what you expect in a motel. I could hear the traffic from the highway faintly from the upstairs room. It does seem to have more workers staying here than leisure travelers. If you want to be around a lot of other tourists or business people you should probably choose another hotel. They did have a good breakfast with real sausage and eggs. I come to this area 3 times a year, and I always stay here because of price and convenience. I like going from the car right to the room (only 2 floors), meaning the doors are outside. I don't mind that because it's easier to park car and walk to room, because I always check in late and if entrance was inside, I would have to park a distance and make a couple of trips to get stuff inside. We were a group of women going to the Canton flea market. I accidentally reserved a smoking room. I asked if the room smelled very much. The hotel was full because of the flea market. . Wendy, the girl at the front desk, went with us to the room to check it out. It didn't smell too bad,and since we didn't have a choice, we stayed. The next morning, Wendy found us at breakfast and told us she had a nonsmoking room if we wanted to move. We stayed in our room because we were settled. We were impressed with Wendy's thoughtfulness and extra help. We asked for extra towels and got them in a few minutes. The breakfast was great. The location is right off I-20 and easy to get to. The room was comfortable and quiet. Price for flea market weekend was very reasonable. It's about 25 min to flea market. We'll stay here again. The front desk staff, especially the young man named Taran, was extremely friendly and helpful. The hotel is located right if the interstate and, one you check into your room, you can drive directly to your door so you don't have to lug your suitcase through the whole building. My room was clean and quite spacious, with a desk, a chair and ottoman, microwave and dorm fridge. 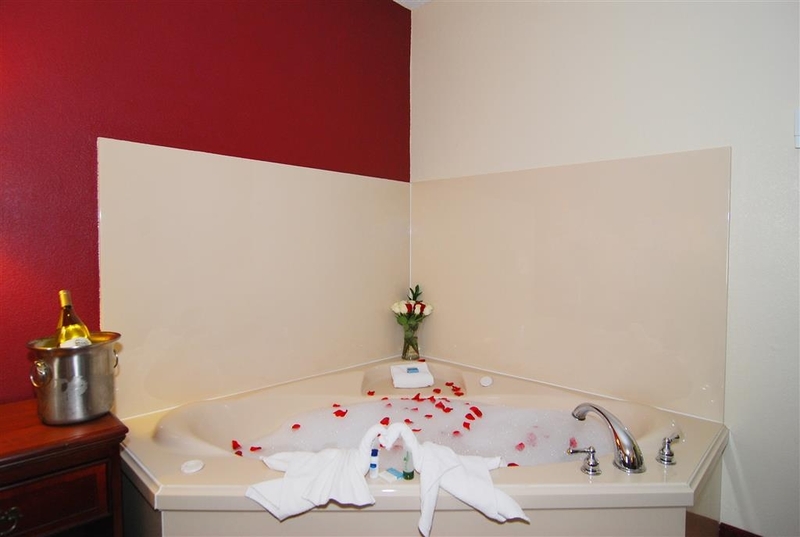 I had a hot tub bath in the room, as well as the regular shower in the bathroom. The coffee maker had plenty of coffee, which seems rare these days. I really enjoyed my stay here. LARGE, clean room. Tub/shower were in a separate room from the vanity which is very convenient. The room was very quite. WIFI worked fasted. Staff were friendly and professional. Full hot breakfast. many fast food restaurants near by. There's a Mc Donalds in front of the hotel. This review is meant to inform, not to bash the hotel. 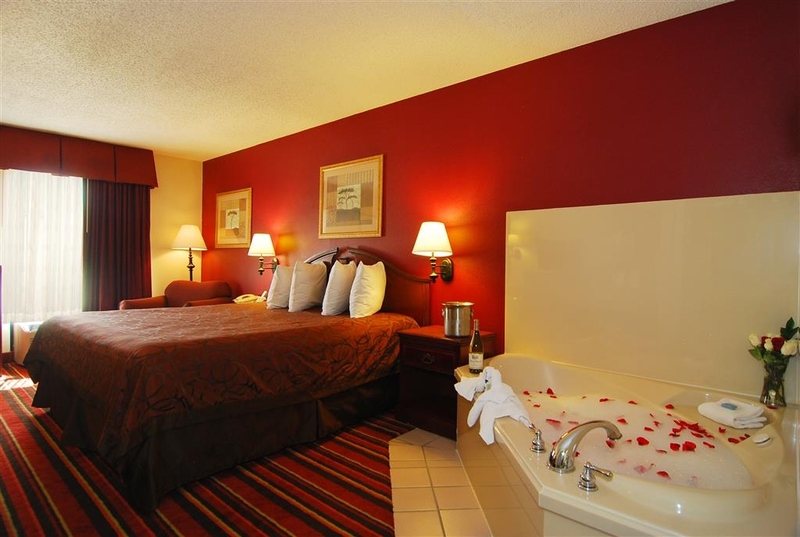 My friend and I booked a room for the weekend to shop in Lindale and Canton. We checked in, put our stuff down in our room and went to dinner. When we returned we found 3 bedbugs on my friend's pillow and 1 on the bed under the comforter. We went straight to the front desk where the girl working the desk was very nice and apologetic. She called her manager who instructed her to return our money in cash, which was also very nice. However, with Canton's First Monday going on all of the other rooms were booked, as were all other hotels within a 30-45 mile radius. So, we were left with nowhere to stay. I would urge everybody to always check your bed and bedding well when staying in any hotel. The bedbugs were easier to find than I thought, about the size of an apple seed, and I attached pictures as well so you know what to look for. the rooms where good and clean but you could hear the traffic loud and clear in the room otherwise the room was clean The breakfast was average but was pretty good. The hotel was conveniently located on the interstate. "Comfortable but close to interstate." Hotel is close to an interstate so there was highway noise from the traffic. Have stayed here before and would stay here again. The fitness facility could use some updating of their equipment and make what is there work properly. It was in need of being serviced. My family was getting together in Tyler at my sister's for Christmas and long story short, I had to bring my diabetic cat with me (he needs insulin shots 2x a day). I couldn't bring him to my sister's house because of her allergies and I could not leave him at the vet because he gets so stressed out at the vet that it really messes up his blood sugar. I went on TripAdvisor to see what my hotel options were. The ones with good reviews charged a large non refundable deposit if you had a pet. Some of the others that didn't charge a pet fee had horrible reviews like "there were boogers on the shower curtain" and "this place needs to be torn down," etc. This Best Western was not listed as taking pets so at the time, I did not consider them. However on another website it seemed to indicate they did take pets so I called them up to verify. They told me they normally don't take pets but management graciously made an exception for me. And they did not charge me an additional fee. The staff was nothing but kind and helpful. I did need to switch rooms after I got there because the frig in the first room didn't work which I needed for my cat's insulin. But that got fixed immediately. They charge a very reasonable price for a clean, quiet room and a hot breakfast. It is not the most awesome breakfast but for the price, it was a pretty good deal. And they were eager to provide me with more eggs when the eggs were all gone even though they were about to stop serving breakfast. They always kept out hot teas, oatmeal and coffee in their lobby. The room was very quiet and they had a great selection of cable channels. I loved that they use shower soap dispensers instead of using those tiny little bar soaps for the bath. My kitty's blood sugar stayed at a reasonable level which tells me he had a fairly stress free stay. :) So glad it worked out to stay there and thank you again to the wonderful Best Western staff for making it possible to be in Tyler with my family. God Bless! This is an excellent stop for 2 tired travelers. May not have been the fanciest BW but it was excellent for such great service, room very clean, hot breakfast and easy on and off the highway. We would definitely stay again at this BW! Thank you Best Western. You made our trip much easier and much more enjoyable! Thank you for providing such a clean and nice room at a reasonable price! 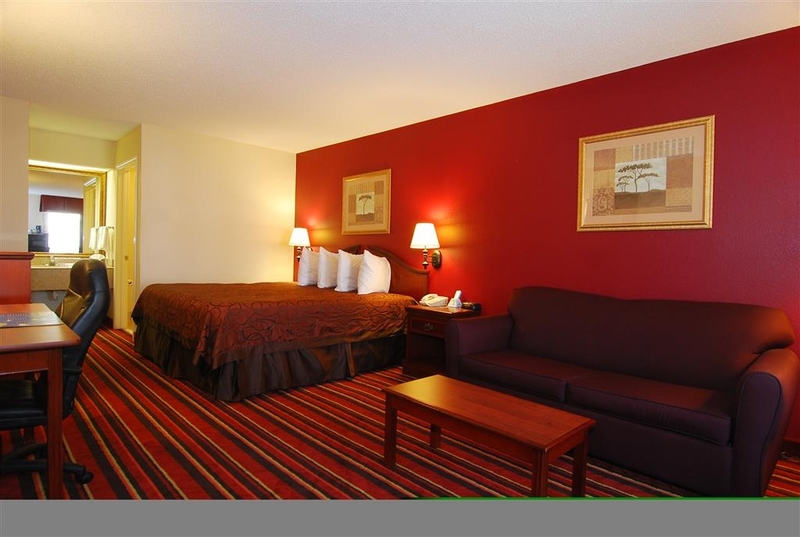 We appreciate the fact that Best Western is located in so many places and the overall value of the visit. 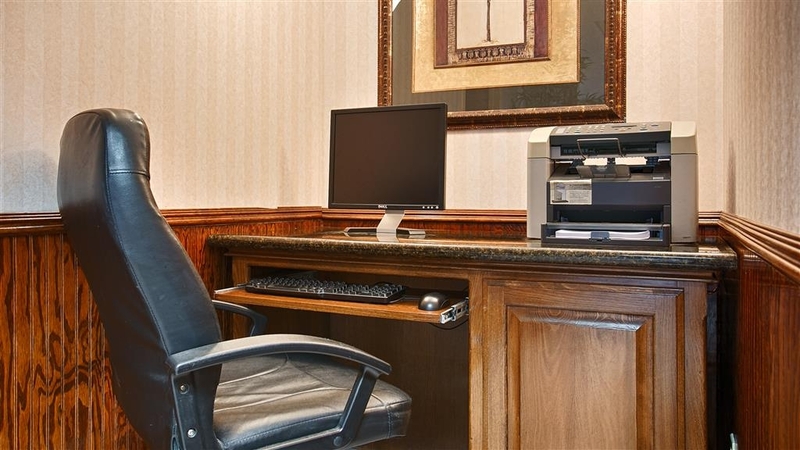 "Best service at Best Western"
The staff is friendly, efficient and quick to take care of whatever come up. The beds are extremely comfortable. 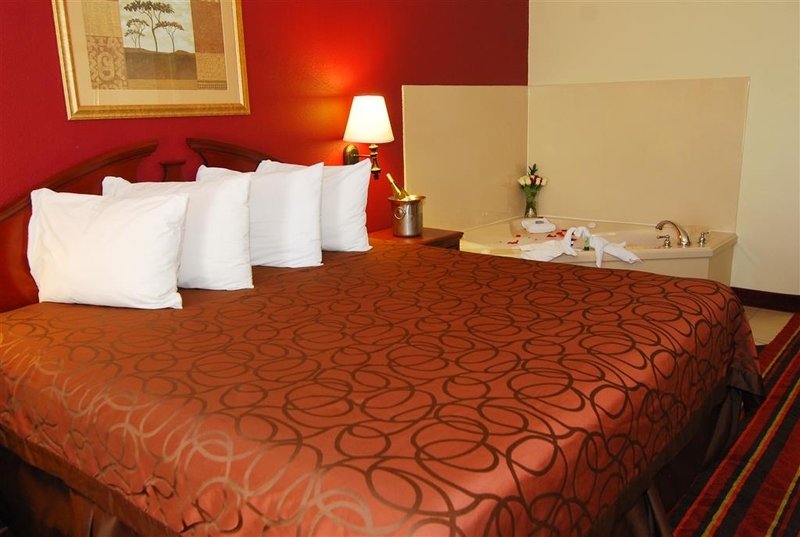 The cleanliness, quietness and beauty of the rooms are above average. It is on I20 & Hwy 69, so if you want complete quiet, stay on the northwest sides. Easy access to food and shopping. The hotel was clean, well located, and clean. The breakfast was very good. 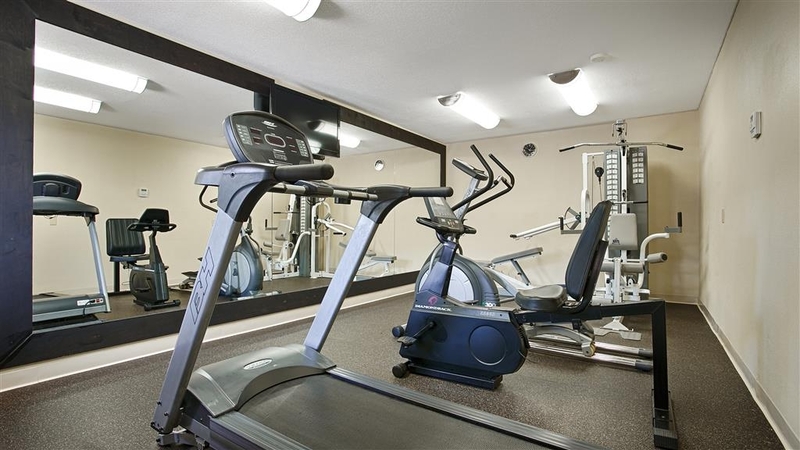 We were treated very nicely and we were able to access all the amenities. The only thing that was wrong was the beverage containers. They did not take $1.00 and had to come back for change, other than that our stay was great. Helpful and accommodating staff. Would recommend this hotel at any time. Due to the location next to a large intersection, it can be noisy outside. Good breakfast. Internet access works well. Computer with internet access available in the lobby. Friendly staff. Well maintained and clean facility. This hotel is absolutely awesome! Myself and my family stay here every year when we get together for our family reunions. The staff is awesome, the rooms are very clean and beautiful. The ammenities are all you can ask for in a hotel. I would recommend this hotel to everyone. The children enjoy staying here as well as the adults! Trust me, you won't be disappointed! "A lot of bang for my buck"
The room was $77, however, Trip Advisor price was showing $69 to book online. I showed the guy at the desk and he honored the price. The lobby was nice and staff very friendly. No foreigners here:) I was shocked at how nice the room was, especially considering what it cost. Very clean, very nice, and very comfortable. This was a $100+ room for $69. This motel was the best overall quality we have experienced in many years! The staff was very attentive and helpful. The entire motel was clean and well kept. The location is very good with quality resturants within walking distant. Easy access to freeway. "Great customer service and very clean"
I stayed a night in this inn and will be back to stay tonight and any other time I need to stay in the area. The place was very clean and the customer service was amazing. I can not sing enough praises to the staff who went out of their way to accommodate me with my needs regarding my disability and needs room wise to allow for nightly dialysis treatment. They were extremely helpful in unloading my luggage and supplies and the manager herself helped me load my vehicle at time of check out. My heart is happy knowing how well this staff represented the heart of east texas...it was a great stay and I am truly blessed to have found them. This hotel is conveniently located at the intersection of two major highways, and yet I did not notice any road noise during my stay. The front desk clerk was extremely helpful to my mother when she checked in. My mother is a senior citizen and does not travel often, so she often has trouble finding the room and using the cardkey. 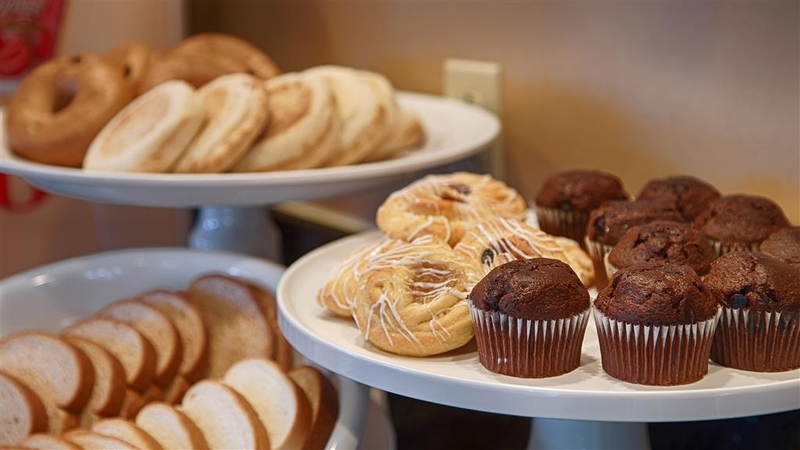 The room itself was quite comfortable, and the breakfast offered a nice variety of foods. The exterior of the building is a bit dated, but our room was impeccably clean, the bed and pillows were shockingly comfortable, and the continental breakfast was above average. For ~$70, you won't do much better. We stayed here on the first night of a three week road trip, and our (much more expensive middle of nowhere) hotel for the second night doesn't come close.